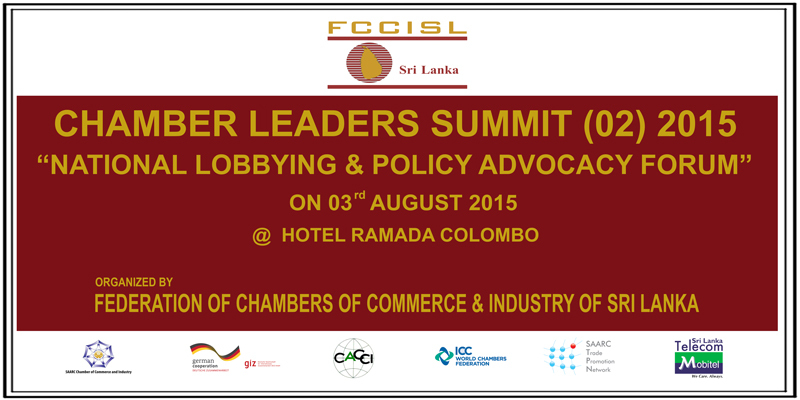 Federation of Chambers of Commerce and Industry of Sri Lanka (FCCISL) has undertaken various interventions to strengthen the regional national chambers spread throughout the island on developing wider network and integrating chambers with each other. 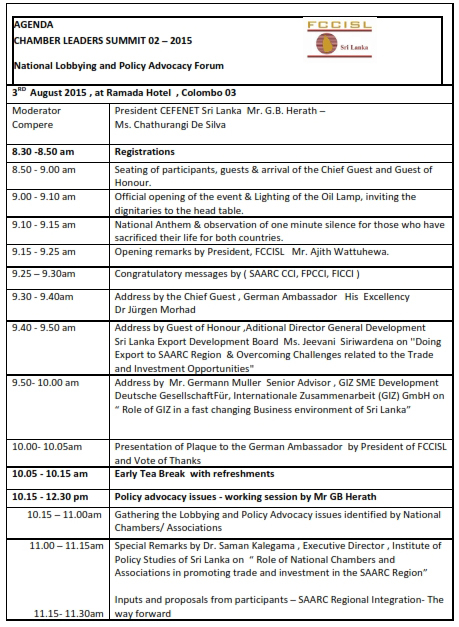 Strengthening the inter connection and the relationship among these Regional National Chambers plays a significant role in achieving the primary goals of the Chamber Movement in Sri Lanka. This creates and maintains an enabling business environment for entrepreneurs to operate their businesses and accomplish broader perspective of developing and promoting a stable national and regional economy. Identifying common issues affecting the business and developing a strategy for lobbying and exploring pooling of resources for economies of scale. Policy and advocacy issues will be given the top priority and the participatory National Chambers and the associations will be provided with the opportunity to highlight their main problematic areas with respect to their sectors of interest. Accordingly those findings were categorized and the corresponding advocacy Strategy will be deeply discussed and a proper Plan will be developed thereafter. At the final stage, the Summit Declaration will be signed by all the participatory organizational leaders and it will be forwarded to the national level policy makers and authorities as required.